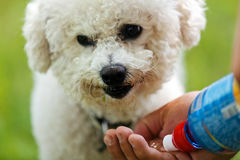 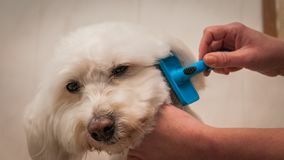 Dog ​​Bichon Frise drinking water. 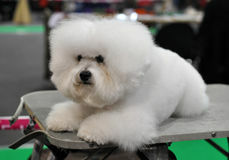 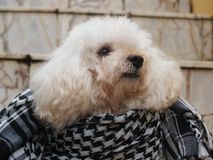 °Beautiful snow-white fluffy dog ​​Bichon Frise. 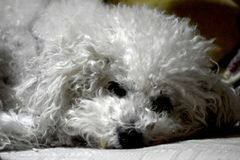 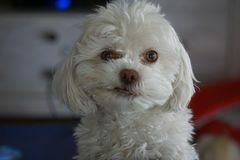 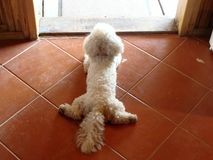 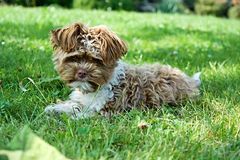 Сurly lap dog, is a small breed of dog of the Bichon type. 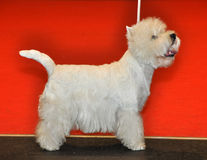 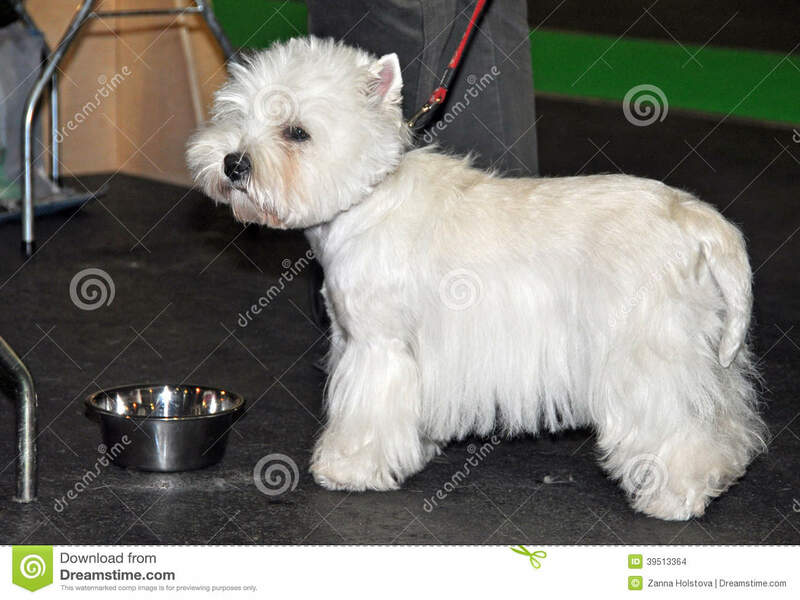 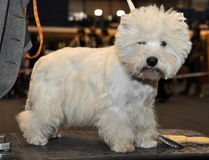 They are popular pets, similar in appearance to but larger than the Maltese.